Victoria State Emergency Service (VICSES) is the control agency for flood, storm, tsunami and earthquake in Victoria, managing responses to these emergencies and helping communities to prepare through planning and education. 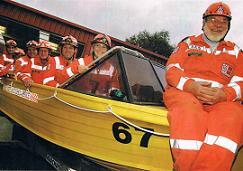 VICSES also operates the largest road crash rescue response network in the state and also provides a support role to other emergency service agencies. 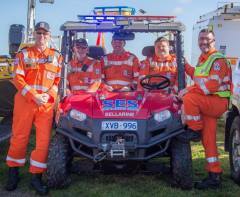 The VICSES Bellarine Unit is one of 24 units located in the South West region and is made up entirely of volunteers. It is supported by professional staff both from state headquarters and the South West regional office. The units LHQ (local headquarters) is located on Grubb Road on the outskirts of Drysdale and its members reside in all corners of the peninsula. The response area for the unit covers the entire Bellarine Peninsula and includes the towns of Clifton Springs, Curlewis, Drysdale, Indented Head, Leopold, Ocean Grove, Point Lonsdale, Portarlington, Queenscliff, St Leonards, Wallington and all areas in between. In addition, our members may be deployed to other regions of the state to assist with large-scale operations such as major storms, floods or fires. We have even had members from our unit deployed across Australia to assist our interstate counterparts.